Howard Thurman was a philosopher and theologian who helped shape the twentieth century by capturing the imaginations of educational, political, ecclesial, and judicial leaders. 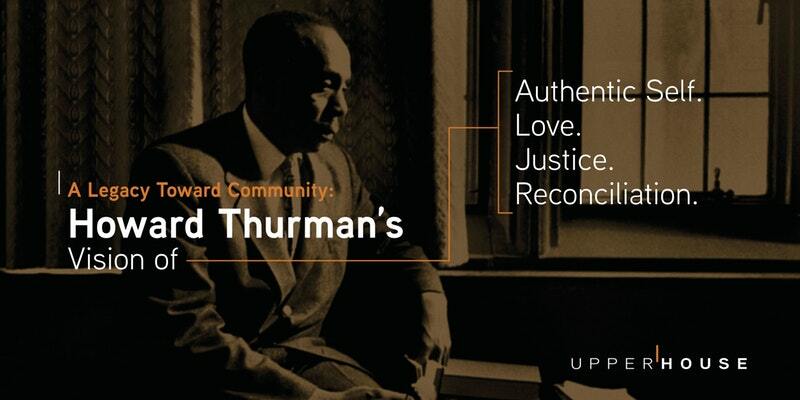 In his role as a teacher and mentor, Thurman’s vision of social justice, rooted in the requirements of reconciliation and love, was one of the pillars of the Civil Rights movement. Upper House in Madison, Wisconsin, will host a dynamic conference that reanimates the remarkable contribution of Howard Thurman, through lectures by Karen Marsh and others, breakout discussions, and times of contemplative reflection. As Thurman wrote, “the human spirit cannot abide the enforced loneliness of isolation.” With that in mind, we look forward to gathering from April 26-28, 2018, exploring the depth and breadth of a legacy that held a light toward community, rooted in the universal pursuit of justice. This is the big one. The Festival of Faith and Writing is an epic three day celebration with incredible headlining speakers, practical workshops and lively panels. On Saturday, April 14, Karen will join James K.A. Smith, Diane Glancy, Donyelle McCray and Lauren Winner for a panel discussion, “Vintage: Ancient Sources for Contemporary Writing”. Come to Grand Rapids if you can. You'll love every moment of the festival! A book signing at a bookstore, a talk at a church, a party...It's all in the works! Email me if you'd like to know more: karen@theologicalhorizons.org. I can't wait to see you there. Karen will be in Dallas in early November for a series of book talks, signings and parties. Don't miss the fun! If you'd like to be invited to any and all of it, email Karen at karen@theologicalhorizons.org. We'll send you the details! Save the date and watch this page! We're throwing a book talk and signing party with friends and good food--on our favorite day, November 1: all Saints Day! 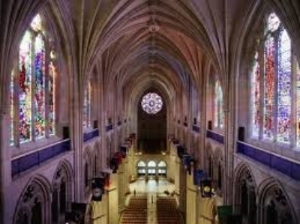 Location to be announced soon.... Email Karen at karen@theologicalhorizons.org to join the guest list. This is a public event. All will be welcome! Where do we turn in times of fear and uncertainty? Karen will bring fresh encouragement from some unexpected sisters: three ancient women of faith. Though they lived in far different eras and places, Julian of Norwich, Amanda Berry Smith and Saint Thérèse of Lisieux speak God's peace, courage and comfort into our lives today. Listen in on Karen's Vintage Saints and Sinners conversation with Georgene Rice at KPDQ in Portland, Oregon. The radio show will stream live at 7:30pm Eastern Standard Time. LISTEN LIVE HERE and then check back for the podcast. The good folks of All Souls gather at 10 a.m. at Venable Elementary in Charlottesville, Virginia. They share conversations, pray, retell Jesus’ story through the gospel and gather around Jesus’ Table, the Eucharist. On this day, I'll tell a bit of my own story--and, even better, tell the story of one of the Vintage Saints and Sinners who amuses me, challenges me and gives me hope, hope that I'm on the right track after all. I'm not really a preacher but I am a preacher's kid so have heard a zillion sermons. That qualifies me, right? I hope you'll come. Book Premiere Party in Charlottesville! Yes, I'm beyond thrilled---the book is coming out at last! Friends, neighbors, strangers all: come and celebrate with us. We'll start with a reading from Vintage Saints and Sinners, have a bit of Q&A and then break out the wine and cheese! Books will be for sale. I'm polishing up my signature now, so ready to inscribe your book if you'll let me. Free & open to the public. Join me, C-villians. September 12, 2017: Book Release Date!